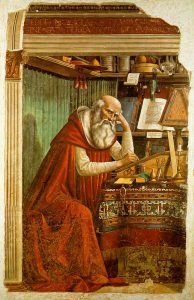 International Translation Day is celebrated every year on 30 September on the feast of St. Jerome, the Bible translator who is considered the patron saint of translators. The celebrations have been promoted by FIT (the International Federation of Translators) ever since it was set up in 1953. In 1991 FIT launched the idea of an officially recognised International Translation Day to show solidarity of the worldwide translation community in an effort to promote the translation profession in different countries (not necessarily only in Christian ones). This is an opportunity to display pride in a profession that is becoming increasingly essential in the era of progressing globalisation. In May, 2017, the United Nations General Assembly has passed a resolution declaring September 30 as International Translation Day, an act to recognise the role of professional translation in connecting nations. In the Northern Territory, the Aboriginal Interpreter Service (AIS) and Interpreting and Translating Service NT (ITSNT) help almost 35,000 Territorians who speak one of 104 languages and dialects to engage in local decision making and conversation. The AIS provides crucial services for people who do not speak English as a first language to understand health, housing and legal services. In just one month of 2017, the AIS completed 426 interpreting services (2473 hours) across 31 Aboriginal languages, and the ITSNT received 406 bookings for interpreting services across 23 languages. The AIS installed video conferencing facilities in November last year to allow more people in remote areas to access interpreting services. For more information on these services, visit https://nt.gov.au/community/interpreting-and-translating-services. For help with accessing translation services for seniors, please contact COTA NT’s Multicultural Affairs/PICAC NT Manager.